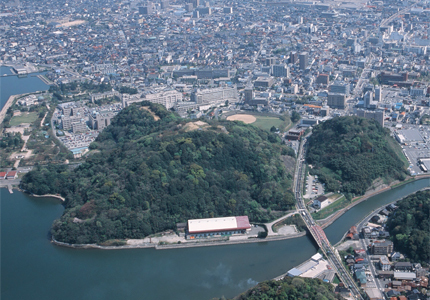 The 5 story-tower-castle was originally built by Kazutada Nakamura in 1601 and it was the largest castle in Sanin area. Today however, the stone walls of its base are all that remain. It attracts tourists and locals as a popular lookout point.